Tip #1: Are your patients prepared? 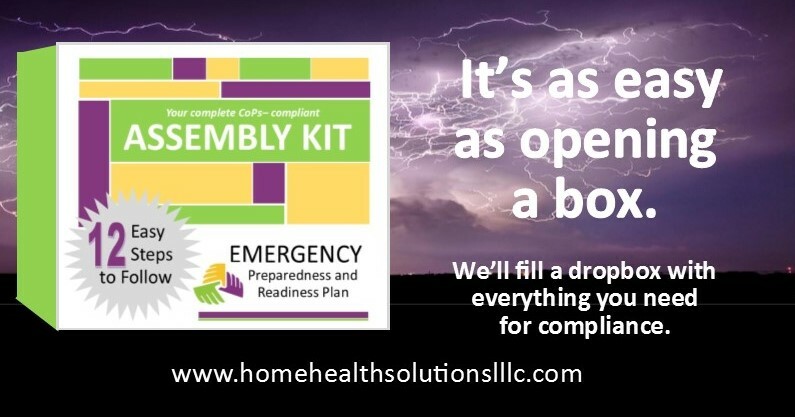 CMS wants to make certain home health agencies have adequately prepared patients and their caregivers for the possibility of evacuation or other possible changes in the delivery of care during or immediately after an emergency situation. One of the ways agencies should do this is by providing patients two lists: a Medication List and a Special Equipment List. These lists are to be kept in the home and constantly updated so that each list is always current. This means it will be necessary to review and update the Medication List at each visit – a big change for most agencies. Make certain patients and caregivers understand that these lists are to go with them to a shelter if an evacuation is needed. The Medication List should include the medication, dose, frequency, route, time of day, and any special considerations for administration. The Special Equipment List will identify the equipment needs of the patient. Note that lists should include the name and phone number of the patient’s physician and pharmacy, and the address of the pharmacy should also be included. It is also important to include allergies and adverse events as well the name and contact information for the home health agency on these lists. During the confusion of an emergency situation, this information could be vital to maintain continuity of care for the patient. HHS recommends that your agency create a form to be used to collect all the necessary information, so that nothing will be inadvertently omitted. Be sure to document your discussions with patient and caregivers about the importance of these lists, with reminders that the lists should always travel with the patient if there is an evacuation. 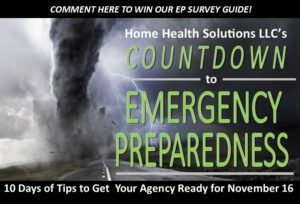 Preparing homebound patients for the possibility of an emergency situation is an important step in your agency’s overall Emergency Preparedness Program. Read more tips and enter to win daily giveaways on the Home Health Solutions Facebook Page during our “10-Day Countdown to Emergency Preparedness,” as we help home health agencies meet the CMS deadline to have Emergency Preparedness Programs in place. but agencies still have work to do. Here are 3 priorities. It’s been a year of remarkable regulatory suspensions and delays for the home health industry – sometimes at the last minute – and home health agencies are wondering whether another regulatory reprieve could be in the works. A bill introduced late last week in the U.S. House of Representatives would postpone the costly and controversial overhaul of the Medicare payment system known as the Home Health Groupings Model (HHGM) which CMS proposes to implement in 2019. Agencies would not see implementation of the proposed HHGM until 2020 under HR 3992, the bill introduced last Friday by Rep. Kristi Noem (R) of South Dakota. “But it is important to note that the bill in its current form will not address expected losses of as much as $950 million in the first year of implementation due to reduced payments to home health agencies,” said J’non Griffin, owner and president of Home Health Solutions. HR 3993, or the Rural Home Health Extension and Regulatory Relief Act, does not affect the proposed new 30-day payment episode in the HHGM or the shift away from a therapy-driven payment model to a new system which relies on clinical groupings, J’non said. Focus on improved coding accuracy. The new HHGM relies heavily on primary diagnoses codes to classify each 30-day episode into one of six clinical groupings. Comorbidities, early or late timing of the episode, admission source and the patient’s cognitive and functional status are also integral to the new classification. Under the new model, episodes which could not be grouped by primary diagnoses due to coding issues would be considered “questionable encounters” and returned to the provided for more accurate or definitive coding. Whether agencies rely on in-house coders or outsource coding services, the quality of an agency’s coding will determine its viability under the HHGM, J’non said. 2. 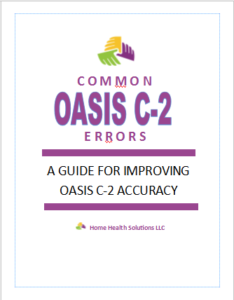 Provide thorough OASIS C-2 training to all team members. ● M1810: Current Ability to Dress Upper Body. ● M1820: Current Ability to Dress Lower Body. ● M1032 (M1033 in OASIS-C1): Risk of Hospitalization. 3. Estimate the HHGM impact on your agency by using a CMS tool. Determining how the HHGM will impact your agency is a crucial first step in developing plans to stabilize your bottom line. CMS has put together a grouping tool to help agencies understand how the proposed payment grouping parameters would impact payments. To use it, your agency will need to input several months of data from patients under the current system and see how much of a difference the new payment model would make on payments received. Click here to access the Excel file available on the CMS web site at http://go.cms.gov/2f12QpC. This article first appeared in The Monday Fix, our free weekly e-newsletter. To subscribe, click here. A proposed rule updating the home health prospective payment system would lower payment rates to home health agencies next year and completely overhaul the way Medicare pays home health agencies the following year. CMS estimates that the cost to agencies for implementing the rule published to the Federal Registry on Aug. 4 would be about $80 million in 2018. But the rule has garnered more attention for the changes it would bring about in payment structure for episodes of care provided by home health agencies, shortening the national standardized 60-day episode payment to just 30 days beginning Jan. 1, 2019, and replacing the current therapy-driven payment system with a model largely based on six clinical groupings. 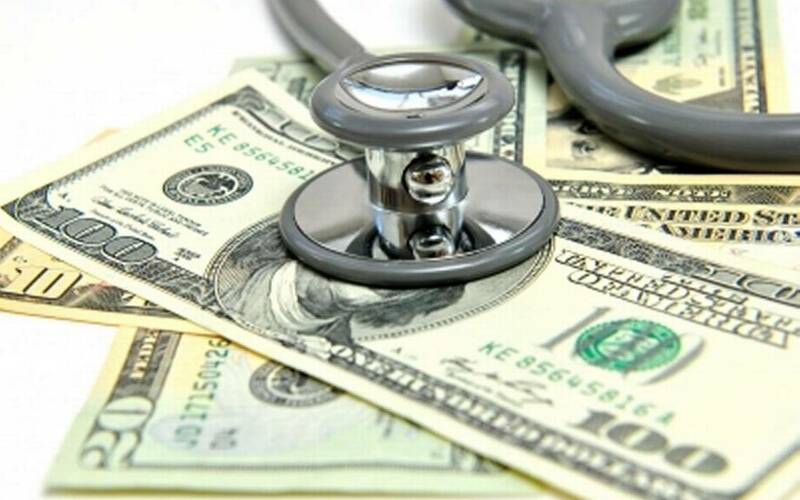 CMS calls the revised payment model a “more clinically intuitive system” and said it will align with the way clinicians already categorize their patients to deliver care. The new model is predicated on the use of principal diagnoses as the core of the system to more clearly identify the types of patients treated in home health, and the focus of their care,” said J’non Griffin, owner and president of Home Health Solutions LLC. Under the new payment model, 30-day payment episodes which could not be grouped by primary diagnoses due to coding issues would be considered “questionable encounters” and returned to the provider for more accurate or definitive coding. Although the principal diagnosis code would be the basis for the home health episode, secondary diagnosis codes would be used to case-mix adjust the period further through additional elements of the model, such as co-morbidity adjustment. Under the new model, diagnosis codes would support medical necessity for services furnished, and provide information for establishing the home health Plan of Care, according to CMS. “Ultimately, developing clinically similar groups based on the reported principal diagnosis as part of the larger structure of the model would allow for more meaningful analysis of home health resource use, ensure that patients are receiving care commiserate with their level of need, and more accurately align payment with cost,” CMS said. It may be time to take a harder look at your agency’s coding and billing practices to determine whether you’re at unnecessary risk of being charged with fraud — particularly in light of this summer’s announcement that the U.S. Health and Human Services Office of Inspector General (OIG) will launch a new probe to identify improper payment patterns. The OIG will use data from the Centers for Medicare and Medicaid Services CERT Program (Comprehensive Error Rate Testing) to look for agencies with improper payments, honing in on any identifiable patterns to compile a list of common characteristics among agencies CMS believes were improperly paid. Last year, CERT identified some $7 billion in improper payments among home health claims. How can agencies mitigate their risks for fraud or non-compliance? Outsourcing services to a competent and professional firm is one of the best ways in which an agency can continue to focus on delivering quality health care instead of struggling to meet the compliance burden – but J’non cautions that outsourcing may have its own risks. Agencies which rely on outsourcing for coding and billing should protect themselves by being especially diligent not just in vetting the reputation and credentials of the firms contracted to provide services, but in ascertaining the credentials of the employees who actually perform the outsourced work for the company, J’non said. How many of the reviewers are clinicians? Are employees experienced in the home health and hospice fields? How many years of experience do they have? Are they credentialed in home health and hospice specific coding? Are the reviewers located in this country or abroad? Are they familiar with the U.S. Health and Human Services Office of Inspector General focus on suspected fraud? Do they understand the importance of compliance to your agency’s success? Are they knowledgeable about CMS requirements and otherwise well prepared to protect your agency? 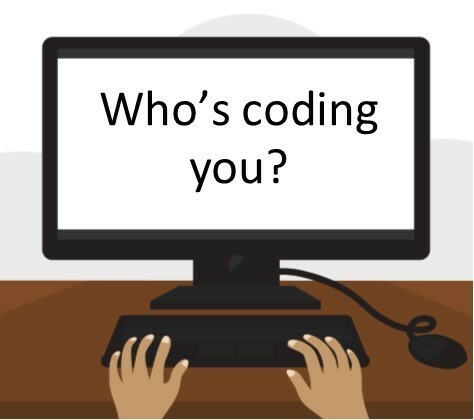 Home Health Solutions LLC has announced an industry-wide “Who’s Coding You?” challenge in an effort to take the anonymity out of the outsourcing business and reassure home health agencies about the credentials and knowledgeability of our staff. Over the next few months, we’ll be spotlighting the names, faces and credentials of all our team members to introduce to the world the people who make up our company. Other areas of concern for agencies included on the July work plan posted by the OIG include plans to evaluate Medicare Part A payments to home health agencies to determine whether claims billed to Medicare Part B for services and items were permissible and in accord with federal regulations. Certain supplies, items and services provided to inpatients are covered under Part A and should not be separately billable to Part B. According to Section 1842 (b)(6)(F) of the Social Security Act, consolidated billing for all home health services is required while the beneficiary is under a home health plan of care authorized by a physician. The Act established a Medicare prospective payment system that pays home health agencies (HHA) for home services and covers all of their costs for furnishing services to Medicare beneficiaries. Pursuant to the home health consolidated billing requirements, the HHA that establishes a beneficiary’s home health plan of care has Medicare billing responsibility for services furnished to the beneficiary. Payment is made to the HHA whether or not the item or service was furnished by the HHA or by others by arrangement. The OIG will review Medicare Part A payments to HHAs to determine whether claims billed to Medicare Part B for items and services were allowable and in accord with Federal regulations. The OIG work plan also announced that it will review Medicare claims paid for telehealth services provided at distant sites that do not have corresponding claims from originating sites to determine whether those services met Medicare requirements. Here is a link to review the OIG work plan. 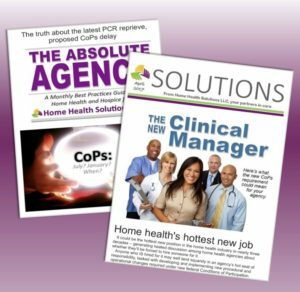 EDITOR’S NOTE: This article is reprinted from the July issue of The Absolute Agency, a free monthly best practices guide for home health agencies published by Home Health Solutions. Click here if you’d like to subscribe. You’ve read and re-read your claim before submitting it, and you have all the documentation in place – but there it is: the dreaded request for additional documentation. 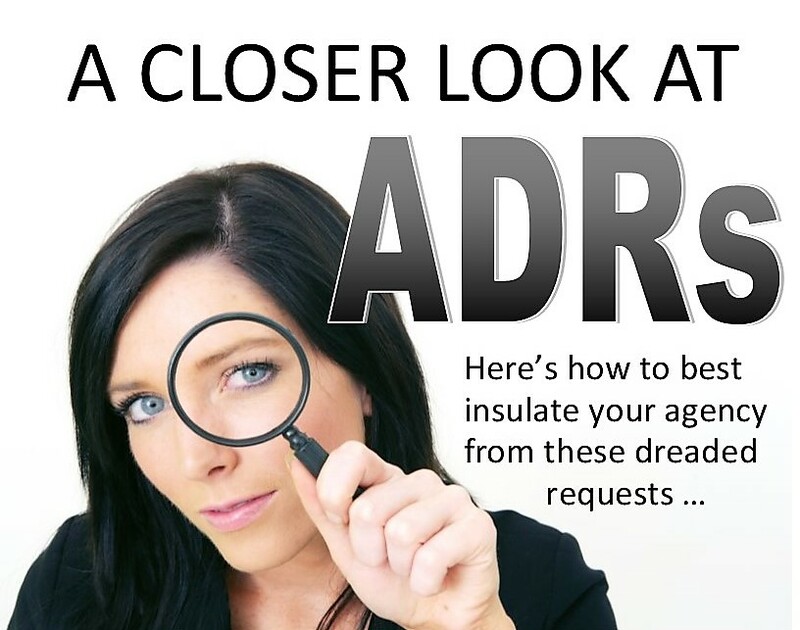 An ADR does not necessarily mean your agency has done anything wrong. Many things outside your agency’s control can trigger these requests, including probes or edits that are service-specific, provider-specific, beneficiary-specific or diagnosis driven. In many cases the OASIS will trigger a frequently-abused HIPPS code. If you really have done your homework, evaluating and scoring your patients according to Medicare’s own definitions and supplementing the OASIS with high quality clinical notes and assessments, your ADR experience is likely to be much less stressful. You may simply need to do a better job of connecting the dots for the MAC reviewer by providing information that was inadvertently omitted, or pointing out documentation the busy reviewer overlooked. “Try to look at any ADR as a learning experience that can sharpen your documentation skills, identify weaknesses in your operation and shore up your processes to protect against future ADRs,” advises J’non Griffin, owner of Home Health Solutions. Sometimes, of course, it’s more than the luck of the draw that attracts ADRs. Agencies make mistakes. OASIS scores aren’t well supported, or call into question the patient’s homebound status, phraseology is vague or subjective rather than clinical, and it’s difficult to tell what’s actually going on with the patient’s condition. When the agency has not clearly documented from the beginning, attempting to sort through the confusion can turn into a time-consuming bout of evidence-collecting and careful explanation. J’non and the HHS team have helped agencies of all sizes across the country successfully respond to ADRs, and they have identified a few of the Red Flags likely to capture the notice of MACs. The good news is that agencies can address many of these risk areas before submitting claims just by carefully reviewing documentation. “There’s no magic deterrent to protect any agency, but you can take steps to insulate yourself by being aware of certain triggers and becoming proactive about avoiding these errors or improving documentation in these areas,” J’non says. – Multiple episodes of observation and assessment of chronic conditions. Look at the ADR due date and mark it on a calendar. With a limited response time, it is imperative to complete your information gathering tasks by the deadline. We recommend setting a target date for submitting your response prior to the actual due date to ensure timeliness. Use a team approach to address the ADR. Nursing, therapy and medical records will likely need to work together to review and collect the data needed. Carefully review the ADR and note each piece of requested documentation. There’s no better way than an old-fashioned checklist to make certain that you are addressing each request. Additional documentation which has not been requested may be provided to support payment of the claim. Signed and dated physician certifications, for example, may not be on the list of requested documentation in an ADR, but this is a foundational piece for establishing the validity of your claim. On the other hand, do not make the mistake of overloading the reviewer with too much documentation. A file bulging with too much information, particularly information which was not requested, will not be happily received by an overloaded reviewer behind in his or her cases. Choose your evidence wisely, based on the strength it adds to your case. Resist the urge to alter or attempt to correct any original documentation. Explain and supplement to make your case stronger. 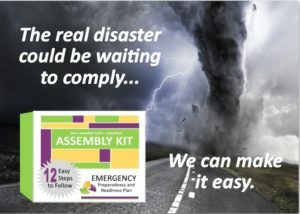 Assemble all documents in order of request. Your goal is to make the process as easy as possible for the reviewer, and providing the information in a manner that is easy to sort through will be helpful. Some agencies use page numbers specific to the particular case. Others identify documentation pages with highlighted text, or provide an index. There is no right or wrong way — but your submission must be easy for the reviewer to figure out. Keep a copy of all documents submitted to the Contractor. NEED HELP WITH YOUR ADRs? ADRs are intimidating and time-consuming. Sometimes, the surest way to navigate an ADR is to turn to an experienced clinical consultant who can guide you through the process, make certain that you include all the key elements needed to support your claim. The consultant can also show you how to make process improvements to reduce the risk of future ADRs or claim denials.